The Danner 28012 Kinetic Waterproof 8-inch Side-Zip Uniform Boot gives you the durability you need on the job without weighing you down. 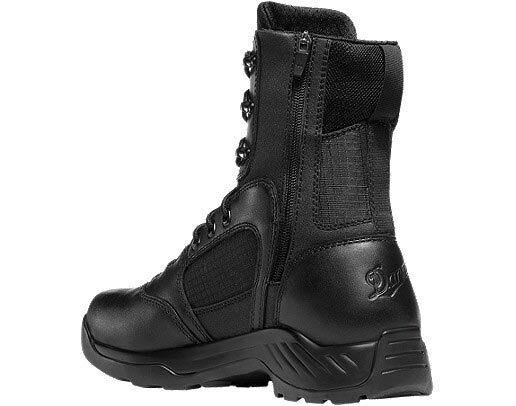 This Danner Tactical boot is designed for comfort and protection. 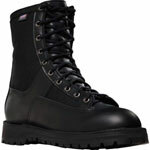 Made with the best materials, the Danner Kinetic tactical boots are ready for action. Ultralon footbeds and deeply cushioned midsoles in the 8 inch Kinetic keep your feet comfortable while the 100 percent waterproof Gore-Tex liner keeps your feet dry even in the most extreme environments Built with durable full-grain leather, the 8 inch Danner 28012 waterproof uniform boot can be easily polished and the rip stop ballistic nylon adds lightweight breathability and abrasion resistance. Always ready to spring into action, these black Danner tactical boots feature a handy side zipper, that allows you to quickly pull them. 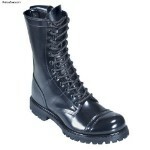 The Danner Boot is made with the Danner Kinetic outsole. 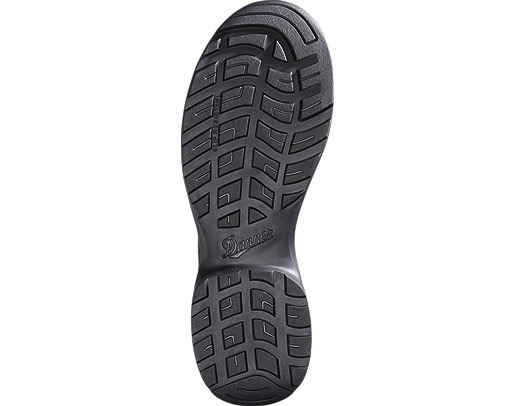 The kinetic sole is a multidirectional low lug outsole that provides superior surface contact and traction. The perfect sole for when sudden acceleration from a resting position is needed. 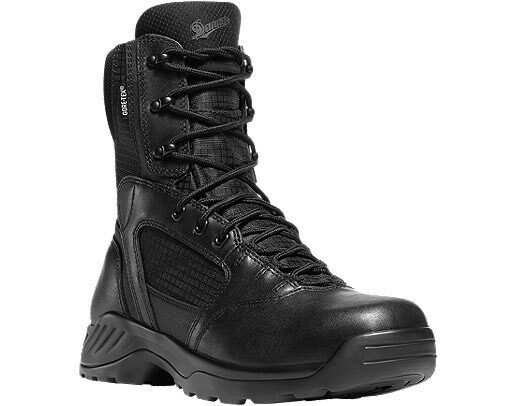 The Danner 28012 Kinetic 8-inch Side Zip Tactical boot gives you the Danner quality you need with the comfortable design you want! Get yours today! Take the toughest full-grain leather and rip stop nylon, add Ultralon footbeds and deeply cushioned midsoles, and you’ve got the Danner Kinetic. It’s tough on the outside, soft on the inside, and thanks to its lightweight build, it’s incredibly agile and responsive. The convenient side zipper for easy entry and exit is now an added bonus.